Omsk (Russian: Омск; [omsk]) is a city and the administrative center of Omsk Oblast, Russia, located in southwestern Siberia 2,236 kilometers (1,389 mi) from Moscow. With a population of 1,154,116, it is Russia's second-largest city east of the Ural Mountains after Novosibirsk, and seventh by size nationally.Omsk acts as an essential transport node, serving as a train station for Trans-Siberian Railway and as a staging post for the Irtysh River. In 1822 Omsk became an administrative capital of Western Siberia and later in 1882 the center of the vast Steppes region (today the northern part of Kazakhstan) and Aqmola Oblast in particular acquiring several churches and cathedrals of various denominations, mosques, a synagogue, the governor-general's mansion, and a military academy. But as the frontier receded and its military importance diminished, the town fell into lethargy. For that time Omsk became a major center of the Siberian exile. From 1850 to 1854 Fyodor Dostoyevsky served his sentence in an Omsk katorga prison. Development of the city was catalyzed with the construction of the Trans-Siberian Railway in the 1890s that affected significance of Omsk as a logistic hub. Many trade companies established stores and offices in Omsk defining the character of the city center. British, Dutch, and German consulates were established roughly at the same time in order to represent their commercial interests. The pinnacle of development for pre-revolutionary Omsk was the Siberian Exposition of Agriculture and Industry in 1910. Popularity of the World Fairs contributed to the image of Omsk as "Chicago of Siberia". The Soviet government preferred the young Novonikolayevsk (later known as Novosibirsk) as the administrative center of Western Siberia, prompting the mass transfer of administrative, cultural, and educational functions from Omsk. This somewhat stunted Omsk's growth and sparked a continuing rivalry between the two cities. Omsk received new life as a result of World War II. Because it was both far from the fighting and had a well-developed infrastructure, Omsk provided a perfect haven for much of the industry evacuated away from the frontlines in 1941. Additionally, contingency plans were made to transfer the provisional Soviet capital to Omsk in the event of a German victory during the Battle of Moscow (October 1941 to January 1942). At the end of the war Omsk remained a major industrial center, and became a leader in Soviet military production. Omsk has a temperate climate characterized by dramatic swings of weather. Average daily temperatures, taken over the past three decades, are +20 °C (68 °F) for July and −17 °C (1 °F) for January, although temperatures can reach +40 °C (104 °F) in the summer and drop to −45 °C (−49 °F) in the winter. On average, Omsk sees over 300 sunny days a year (2201 hours). The average annual precipitation is 415 millimeters (16.3 in). Closer to the confluence of the Om and the Irtysh are the few surviving sombre buildings of the 18th-century fortress. The largest and most opulent church in the city is the Dormition Cathedral, a five-domed edifice in the Russian Revival style, consecrated in 1896, demolished by the Soviets, and restored in the early first decade of the 21st century. 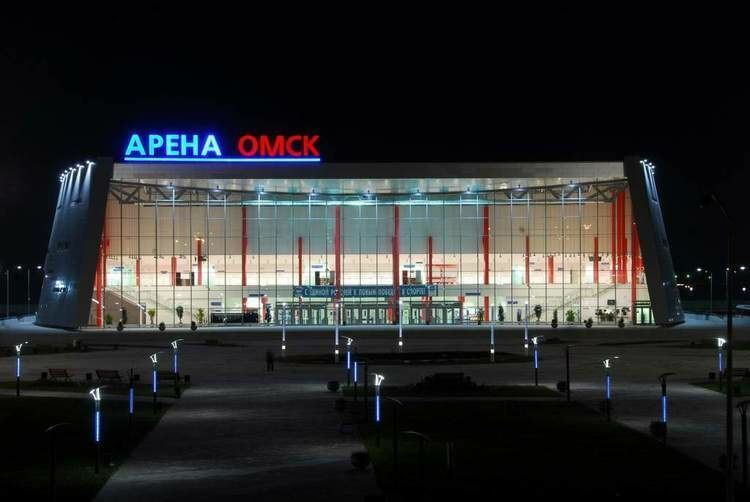 Theaters include the Omsk Opera, The Omsk Theater of Drama, The Omsk Circus, and a number of smaller venues. A Metro system, proposed in the late 1980s, but postponed for lack of funds, is currently under construction, with the Metro bridge over the Irtysh River. The bridge is already opened for cars (upper level), but the metro (lower level) is still under construction. As a first step, one short line will connect the districts in the northwest with the city center. The first line of the Omsk metro is currently under construction.